Messe Düsseldorf’s interpack alliance and IPACK-IMA are now sharing a platform in Nairobi. The food processing & packaging exposyum (fppe) and East Afripack are set to form a joint platform at the Kenyatta International Conference Centre (KICC) from 5 to 7 December 2016. The platform will serve companies along the entire food packaging value chain, from the crops to the end product. 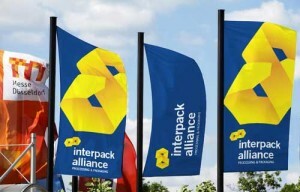 In this way Messe Düsseldorf’s interpack alliance – which also includes fppe – and the Italian trade fair organisers IPACK-IMA (a JV between Fiera Milano and Ucima – The Italian Packaging Machinery Manufacturers Association), the organisers of East Afripack, are bundling their expertise on the East African market. Furthermore, the range of product categories has now been expanded, so that exhibitors include companies along the entire food supply chain. “In this new constellation we provide an outstanding basis for both export-focused and domestic companies, enabling them to present their solutions at a local level, on a market which is full of opportunities, while helping them to enter into direct dialogue,” says Thomas Dohse, Deputy Director of Processing & Packaging at Messe Düsseldorf. “Seeing that our Italian companies are such powerful exporters, we are confident that this partnership will give them an excellent solution on a market that has been rather fragmented until now. fppe and East Afripack together is the best solution for East African Community professional visitors that require rapid technological upgrading in the food process and packaging industry, in all of its aspects” says Domenico Lunghi, Managing Director of IPACK-IMA. fppe will maintain its specific event format, combining two parts: a conference and an exhibition. The main emphasis will be on needs-focused solutions for local food manufacturers, and so the core elements of the conference will be the needs of those producers, suitable products and services from suppliers and also the political framework for companies. Furthermore, a special industry symposium is being planned by VDMA, the German Engineering Federation. Another major area will be the issue of food losses. The Food and Agriculture Organisation of the United Nations (FAO), the United Nations Environment Programme (UNEP) and Messe Düsseldorf will be responsible for this part of the conference as partners of the SAVE FOOD initiative. Suitable cultivation, processing and packaging solutions are important tools in combating food losses – a sub-Saharan problem which is frequently caused by the impossibility to ensure the immediate processing, storage and shipping of crops. To make participation as easy as possible for both export-focused companies and local suppliers, considerably less expensive package deals will be available for shell stands than on previous occasions. In addition, a range of convenience packages can be booked which will comprise services ranging from airport transfers and hotel bookings through the organisation of business meetings to guided tours of companies.